Once there were seven Gond brothers who wanted to give away their property and mingle with the common folk. The Great God appeared in the youngest brother's dream and told him that their calling was to sit under the Saja tree and play music in praise of him. 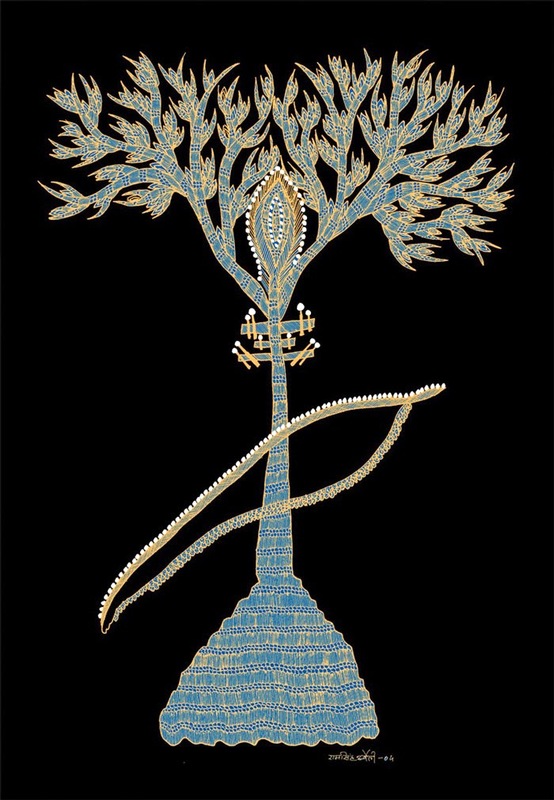 Now the Saja tree is the tree of song. "A world in which everything matters"
"The arms of the mind open wide to the broad sky"